Ziebart and the Future of Total Vehicle Protection Products and Services. Nasser bin Khaled & Sons became Ziebart Master Franchisees for Qatar in 2004. 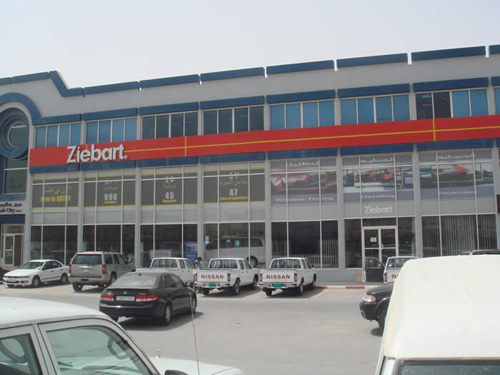 Operating from a fully equipped built 2,000 square meter store on Salwa Road, Doha/ Qatar and providing a full range of Ziebart services including Diamond Gloss, detailing, window tint, rust protection and more, Ziebart Qatar was awarded with the ‘Outstanding Sales Achievement' award in 2007. Kurt Ziebart arrives in Detroit from Germany. He is penniless and has to borrow $18 from his uncle in order to retrieve his bags from the train depot. Soon, Ziebart lands a job as a mechanic at a local automobile dealership. Later that year he is employed in a collision shop owned by Rudy Herman. Herman would later become a partner in Ziebart's rustproofing venture. While rebuilding a wrecked 1953 Packard in his spare time, Kurt begins his first attempts at rustproofing its body panels. With the sealant perfected, Ziebart and partners Rudy Herman and Joe Selagi (who later sells his interest to George Krausmann) decide to open their first rustproofing shop in the Detroit area. Consumers at first think the product is a hoax, but are soon convinced of its integrity as advertising and word of mouth keep the appointment calendar filled for weeks in advance. To keep up with the demand, 18 franchises offering the service including one in Windsor, Canada, are opened. Roger Waindle, a recognized expert in the field of corrosion studies, buys the now prosperous business and renames it Ziebart Process Corporation. His plans call for further expansion of the franchise network, refinement of the rustproofing sealant, and securing accounts in the fleet industry. The famous Ziebart plug is introduced. Mike Dorey becomes the first International Master Licensee with a franchise in Canada. . Expansion of the Far East begins as a Master License for Japan is granted. Corporate advertising efforts with Ziebart ads appearing in Life, Look, Time, Newsweek and other national magazines. Ziebart International Corporation is founded. Famed actor Rod Serling of the Twilight Zone is hired to appear in national “It's us. Or rust” TV advertising campaign. Zee-Glaze, a polymer sealant that chemically bonds to paint is introduced. Ziebart launches aggressive diversification and franchise programs in North America and international markets. A new contract offering increasing royalties to dealers is introduced in the United States by Ziebart. Ziebart International Corporation acquires Canada Master Franchise. Ziebart introduces Rust Eliminator and a three-step paint protection system. Ziebart expands its aftermarket products, services, and accessories. Tuff-Kote Dinol® franchise system of 130 stores in North America is acquired by Ziebart International Corporation. Ziebart secures worldwide rights to the Tidy Car® detailing franchise and trademarks. Ziebart focus groups reveal customer interest in a Ziebart and Tidy Car® joint venture business format. Ziebart and Tidy Car® marketed under comprehensive business plan. Ziebart changes look and colors of Ziebart dealer stores; introduces ChipFix®, a paint chip repair system. Company begins focus on vehicle detailing services. Ziebart International Corporation was bought by its employees through an Employee Stock Ownership Plan (ESOP). This program has fostered personal commitment, dedication and long-term devotion to building the business. Ziebart sells its manufacturing facilities and Ziebart Products Group subsidiary. Ziebart aggressively expands franchise sales and introduces new exterior décor, signage program, and showroom merchandising. Ziebart enters agreement with TCG International to market Speedy Auto Glass® replacement glass and windshield repair services. Ziebart also expands product line to include Rhino Linings® to its product line. The product is the number one selling urethane spray-on bed liner in North America. Ziebart SuperStores launched within the Ziebart franchise, an over-the-counter store attached to a Ziebart business. The co-branding and placement of Rhino Linings® and Speedy Glass® within Ziebart stores generates corporate and franchise profits and placement in more than 100 stores. 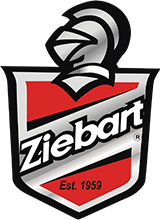 Ziebart struggles with profitability as many U.S. dealers diversify into non-proprietary Ziebart products. Ziebart International Corporation sells Canada Master Franchise License to an investment company. Ziebart simplified the franchising business format to promote a stronger franchise business opportunity and to make dealers more profitable. Daniel C. Baker, promoted to President of Ziebart Corporation, a wholly owned subsidiary of Ziebart International Corporation. Mr. Baker takes leadership control of domestic operations for the company. Ziebart conducts lab and field tests on new Z-Shield® Paint Protection Film to fulfill the corporate mission to have the best paint protection film available in the marketplace. Ziebart conducts customer focus groups on new proprietary Z-Shield® Paint Protection Film, the most tested, refined, and high-tech product introduced since Ziebart's revolutionary rust protection formula. The company launches a reintroduction of its brand, the largest such effort in decades, to promote its products, services, and franchise opportunities since the 1970s. Ziebart introduces Z-Shield®, a proprietary paint protection film, offered in .6 mil and .8 mil film to protect cars from road debris, stone chips, salt, and other daily driving hazards. The new .6 mil film product features 'self-healing' polymer technology that reduces minor scratches and abrasions with heat from sunlight. Ziebart launches national public relations program to promote the company's new line of products and 55th anniversary since its founding in 1959.